The 5 Star hotel WordPress theme is an extensive and easy to use online booking management system. The theme provides many powerful tools to create a professional looking website with its fully functional booking engine. This hotel booking template also includes an availability checker calendar. It is powered by two base Templatic plugins; Tevolution and Templatic Booking. 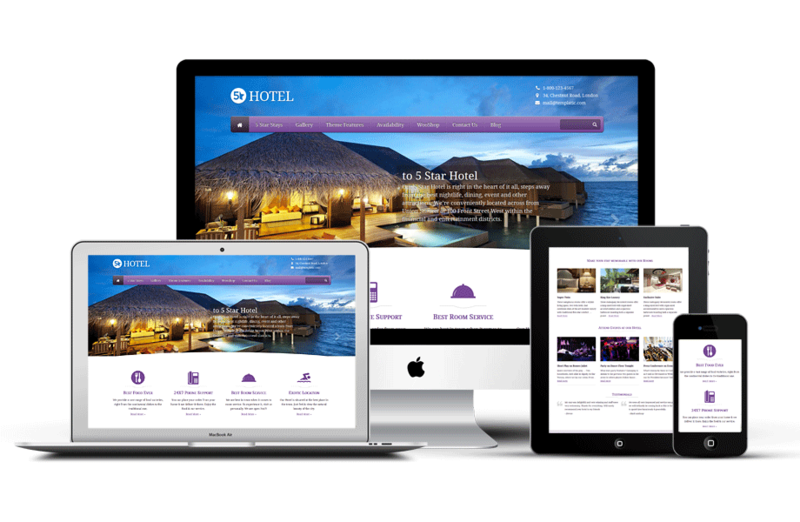 Both of these advanced plugins are included with every purchase of this Hotel website template! 5 Star comes with a very powerful and flexible booking system. You can use this theme for hotels, motels, hostels, B&Bs, guest houses or for property rentals. You’re not just limited to hotels, use it for whatever you’re renting. Why rely on other online booking engines when you can have your own? The 5 Star theme lets you do just that. You can use this theme for online reservations on your hotel website. No need for any external tools. 5 Star provides each room its availability checker calendar for the booking form. This lets guests wishing to make an online booking know when the room is available. The option to show the calender on room detail pages is optional. Need to add more fields to the booking form? No problem, 5 Star lets you easily add fields straight from the dashboard. Without touching a line of code. This is great should you wish to collect more information with the reservation form. The Templatic Booking plugin is included with 5 Star but it’s also available as a standalone plugin! Theme allows you to place sliders into full-width sections. The slider will be beautifully there on the entire screen. Each slide can have unique text on it which can be changed from the backend. Special widget area to showcase all your top service to attract and give information about your services to all you customers. This powerful booking theme is complete with the ability to accept online payments. The theme comes with the PayPal payment gateway so all you’ll need to do is enter your PayPal address and you’re set to go. The theme also comes with a ‘Pre-bank transfer payment method in case you need that too. Control the number of booking days for each of your houses. Along with that, you can set a separate minimum days value for each created seasonal price. Adding optional extra services on the theme’s booking form is is possible straight from the booking settings. As this theme can be used for hotels and also hostels, bed and breakfasts, hostels or guest houses, each will be offering different services. The booking form is designed to calculate the cost of each service during a booking. 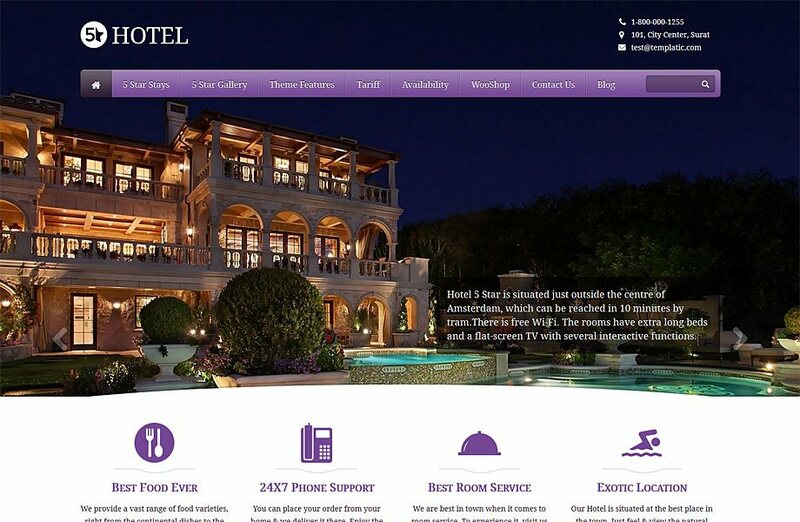 The 5 Star hotel WordPress theme is WPML plugin compatible. so running your online hotel booking service in multi languages is possible. Once installed, your visitors will be able to select from the languages you have made available on your hotel website. The same applies if you use the theme for any bookings other than for hotels like hostels, motels and so on. As hotelier, you can use the booking system options to enter prices for rooms with seasonal rates. The theme makes this very simple and all you have to do is to pick the dates and enter your prices for those dates. The stylish 5 Star homepage is presented with a collection of widgets. You can make several changes to alter the default look by swapping, removing or adding some widgets. You can also easily change the color from the dashboard. Need to offer your special guests a discount on room reservations? This is very simple to do from the booking options. You can create discount coupons for a certain amount or a percentage. The discount is calculated on the booking form and the price to pay is changed accordingly. This theme doesn’t just come with elegant design and powerful booking features. You also get an integrated blog with 5 Star. 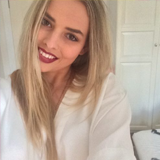 Using the blog is optional so it’s there if you need to publish any promotional content too. The 5 Star theme is best suited for hotel reservations. You can also be used for bed and breakfasts, hostels, guest houses, motels or resorts. You can add new categories. So using this theme for an unlimited number of hotels, B&Bs or hostels is possible, not just for one. 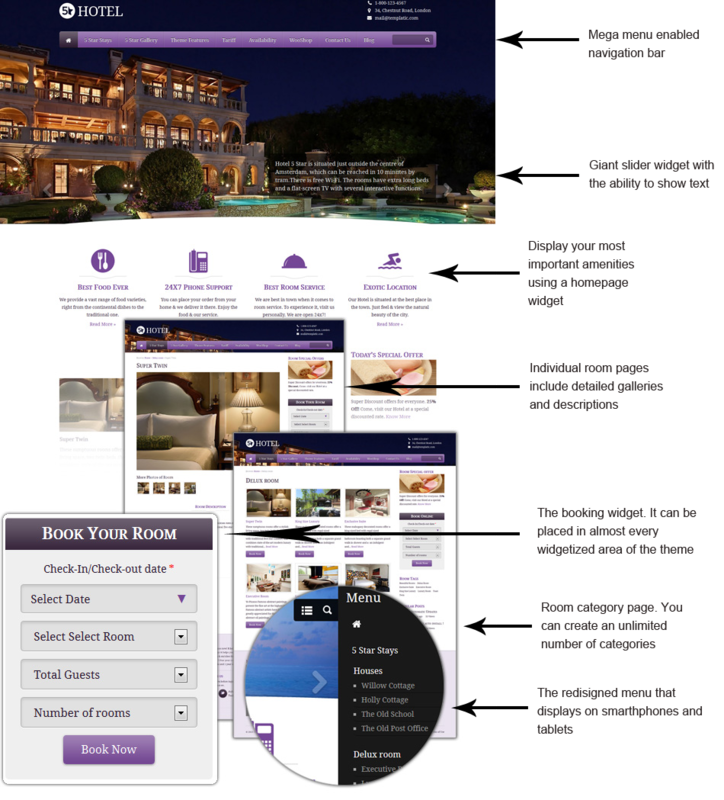 We have also made this online booking website template as flexible as possible. 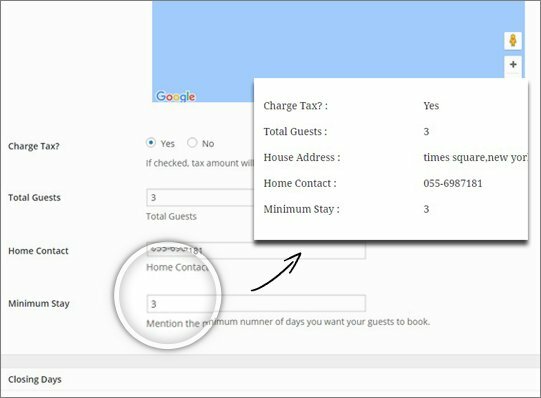 For example, you can change the number of room guest occupancy limit, the default currency and add new fields to the theme’s booking form. You can also edit or remove the word ‘room’ or ‘house’ from the URLs. Your own online reservations system is just a few clicks away. The theme comes with a user and installation guide but help is always at hand. 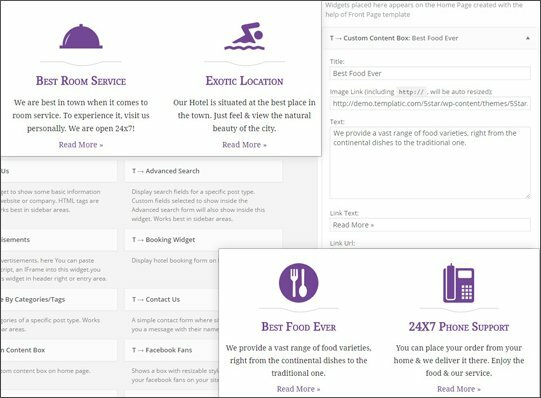 By purchasing this theme or subscribing to our hotel directory software you will get access to the Templatic support team. Our team is always happy to be of assistance. Block datesThe booking system will allow you to make certain dates unavailable for booking. For instance, during room/house repairs. Manage emailsEach email sent by the system can be tweaked in the back-end. Some shortcodes are available too. Set taxSet your tax amount and then choose for which houses/rooms it should apply to. Set a depositDon’t want to charge the whole amount online? Set a deposit and allow visitors to pay most of it during check-in. Tariff pageNo manual price tables; generate a page which lists all your room/house prices. Custom backgroundChanging the background picture in 5 Star is insanely easy. It even happens in real-time. Sticky headerThe sticky header can display our navigation bar even during scrolling. Keeps the most important links accessible. Page templatesCustom page templates include Contact Us, Sitemap, Advanced Search to name a few. Social buttonsAllow visitors to share your content using Twitter, Facebook, Google+ and Pinterest social buttons. Can I change the logo?Yes, of course. The logo and favicon can be changed from the theme’s back-end section. Is 5 Star available as a HTML template?No, it’s not. It’s only available as a WordPress theme. Is bulk uploading available?Yes, it is. Tevolution (main plugin powering 5 Star) comes with bulk upload functionality. Does 5 Star work with WordPress MultiSiteYes, it does. All Templatic themes work great on MultiSite, including 5 Star. Which payment gateways are supported?5 Star comes with 2 payment options enabled: PayPal and Bank transfer. 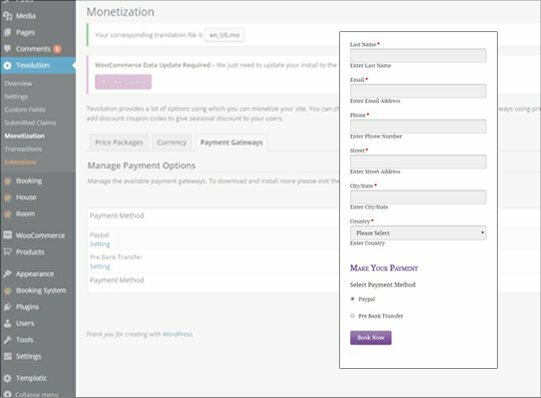 If you’d like to offer more payment options to your visitors install one of our optional payment gateway extensions. Am I allowed to customize the theme?Yes, of course. You’re allowed to make unlimited changes to the theme, design and functionality included. We even encourage this by including the best customized sites in our Showcase. Is video embedding possible?Yes. To embed a video into a place or event just paste the iframe embed code from YouTube, Vimeo or some other video sharing website. 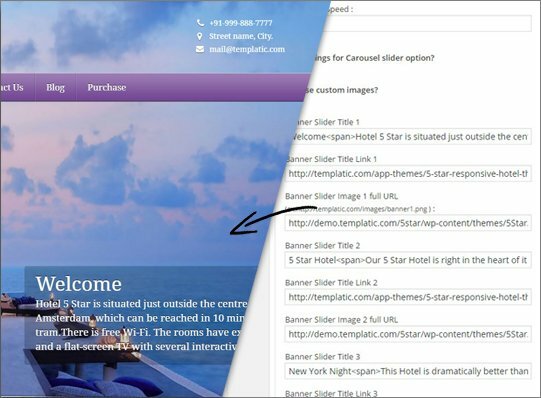 Need to include a web store on your hotel website? 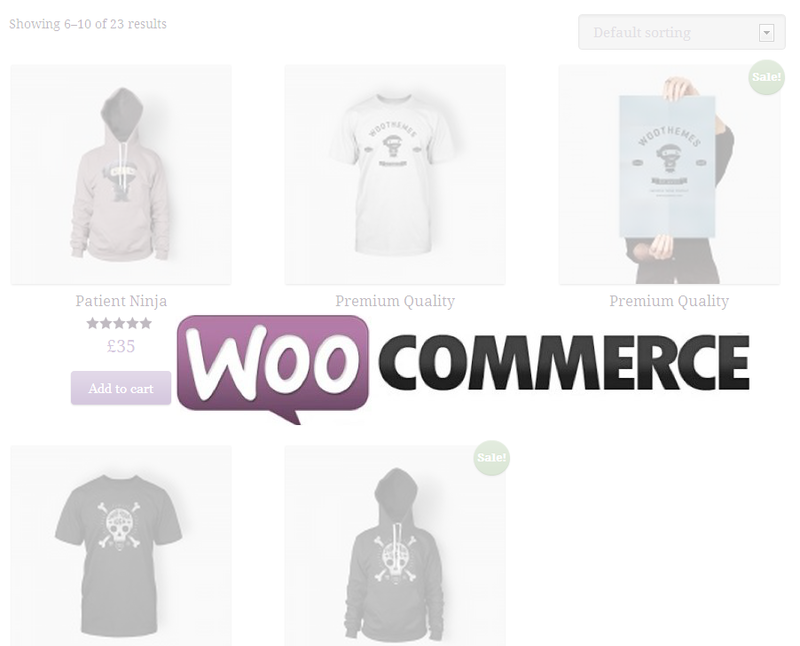 You can with the free WooCommerce free e-commerce plugin. This option is great if you wish to sell merchandise on your website as well as offer online bookings. The Theme has been an excellent choice for us and has served our needs very well with professional code and fully editable. Excellent Support, always helpful and resolved all our queries and problems. The plugins were helpful to Extend the functionality of the site. I can honestly recommend Templatic Themes and services.